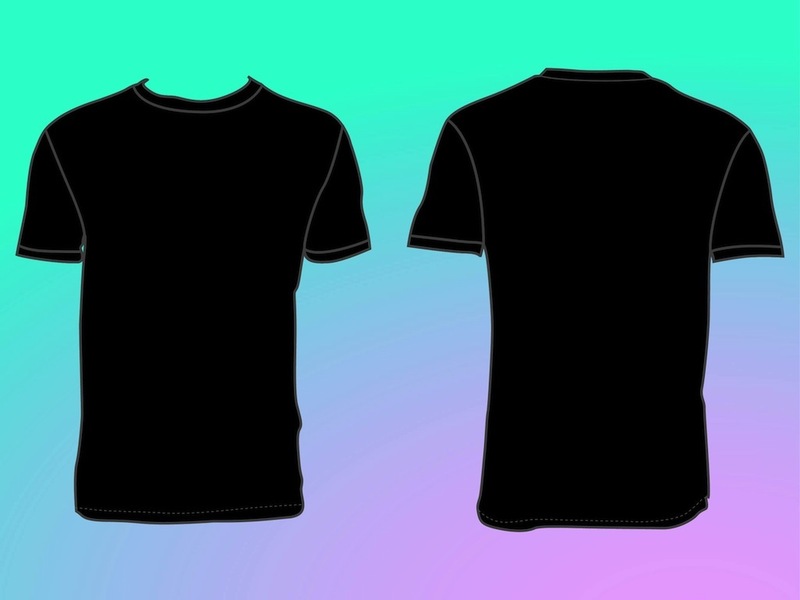 Vector graphics of a basic T-shirt. Front and backside of the clothing item shown. 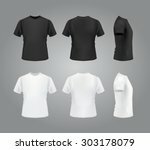 Blank shirt template with free space for prints, decorations, company logos, branding and text. 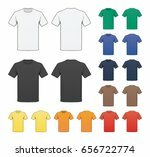 Customizable vector T-shirt templates for all fashion and apparel. Free vector template for your advertising materials and fashion designs. Tags: Apparel, Blank, Clothes, Fashion, Style, T-Shirt Vectors, T-Shirts, Top.